Experience 4 Very Distinct Beaches, All Within a Few Miles of Each Other. Do you want to get to know some of the best beaches in Costa Rica? This is the tour for you. 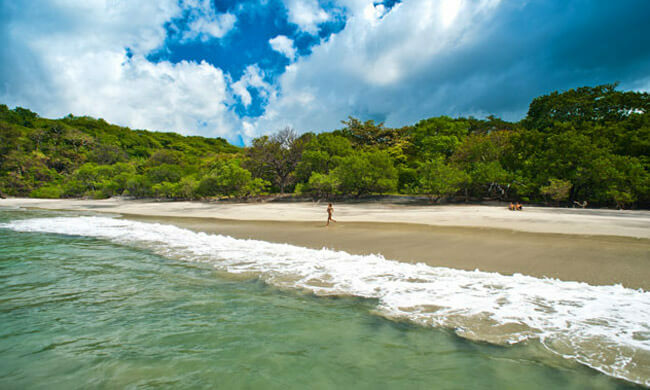 Guanacaste is most well-known for its countless beautiful beaches. Your tour will let you experience four very distinct beaches all in close proximity of each other. The tides will determine the order you visit each destination, but each unique spot is lovely. Playa Flamingo is known for its amazing sunsets, soft golden sand, and warm water. Playa Grande is a huge natural beach where turtles come to nest. Playa Tamarindo is fun in the sun; it’s one of the best places to learn to surf, boogie board, and swim. Playa Conchal is perhaps the most unique, with crushed shells covering the beach instead of sand. Try some snorkeling here! You need to have the ability to swim to participate in the surfing and snorkeling. If you just want to dip your toes, you can still participate in the tour. Minimum age is 7 years old. Tour includes: Transportation from/to your hotel, ground transportation between the beaches, bilingual guide, snorkel equipment, lunch with an ocean view. What to bring: Bathing suit, change of clothes, sunscreen, sun hat, a towel.